Tulsa Metropolitan Utility Authority (TMUA) 02-55 Phase 2 - 1934rd E. Ave. to 225th E. Ave. to 11th St. Waterline: 3 miles of 12" ductile waterline and a 262' bore under the Creek Turnpike and right of way documents for the waterline. 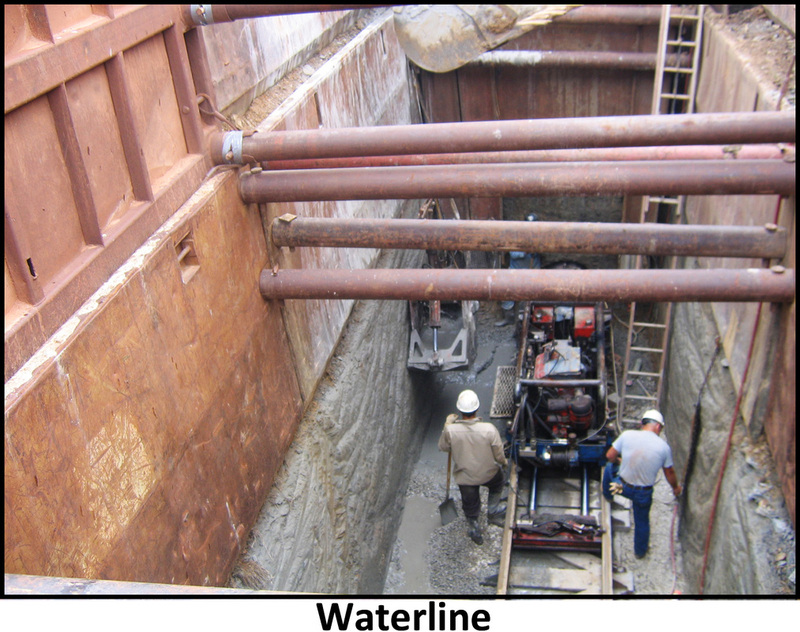 TMUA W 07-26: 2" Waterline Replacement: 2.4 miles of 6" waterlines in 15 separate alignments and locations. 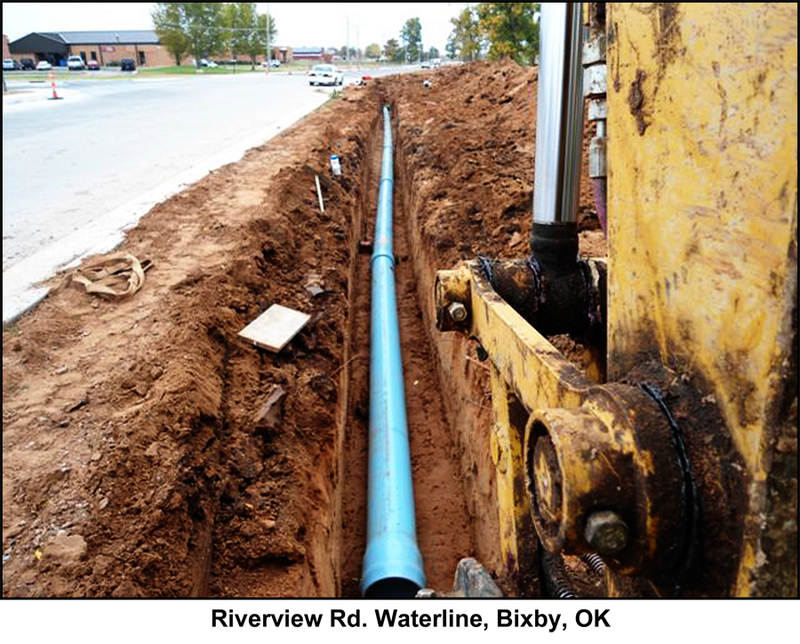 Kay County Rural Water District 1 - Kay County Oklahoma - Replace over 5 miles of 2" with new 4" waterlines; a 1.5-mile 6" line with a booster pump station. 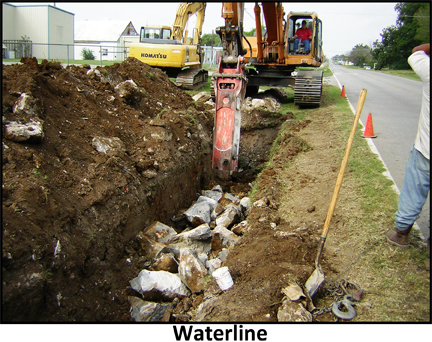 Maintenance Zone 4024 - City of Tulsa Waterline: 1.5 miles of waterline replacements, a collector and a minor arterial; in conjunction with street, stormwater and sanitary sewer rehabilitation along same corridor.